The Kask Bambino Pro aero helmet is an incredibly aerodynamic helmet, its innovative design and its performance is outside the norm. Ventilation is provided by six micro vents in the front and four at rear, all creating an air tunnel. 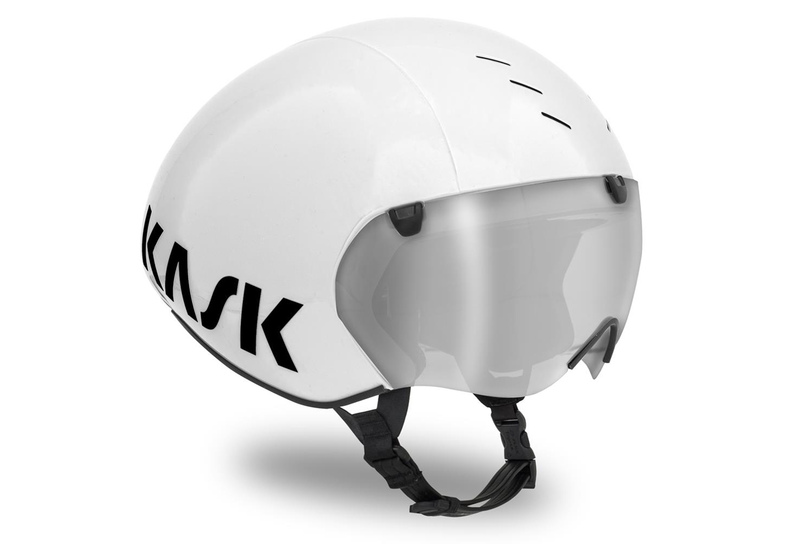 The innovative magnetic visor is patented by KASK and integrated to the helmet thanks to a five magnets’ system. The total adherence of the visor to the helmet allows a continuous air flow and a great aerodynamic. Removable and washable inner padding in Coolmax® material. The anallergic and washable chinstrap is extremely comfortable and helps to avoid irritation of the skin. Casque Aero KASK BAMBINO PRO Blanc clasificado 4.2 de 5 por 5.